June 6-7, 2019 Dean Hoke Managing Partner of Edu Alliance Group and Tom Davisson a member of the Edu Alliance Advisory Council will be presenting at the American Association of University Administrators Leadership Seminar being held in Detroit Michigan. The topic of discussion is: What Keeps College Leaders Awake at Night and How Can You Get a Good Night’s Sleep. 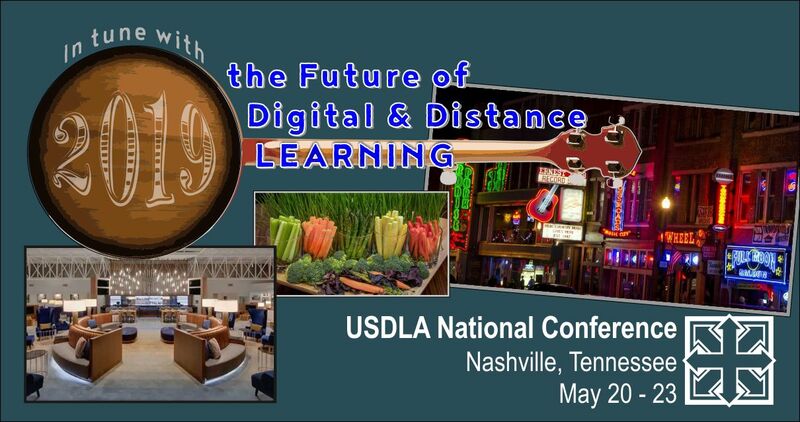 May 20-23, 2019 Dean Hoke Managing Partner of Edu Alliance Group, will be leading a Round table discussion on Global Partnerships in Distance Learning at the United States Distance Learning Association National Meeting in Nashville, Tennessee. Joining Mr. Hoke on the 22nd will be Airina Volungevien, Sandra Kucina, of the European Distance Education Network (EDEN), and Michael Mathews CIO of Oral Roberts University. April 22-23, 2019 Edu Alliance has been selected as a supporting partner of Bett MEA, the region’s leading education technology leadership summit and exhibition taking place 22-23 April 2019 at Abu Dhabi National Exhibition Centre (ADNEC). 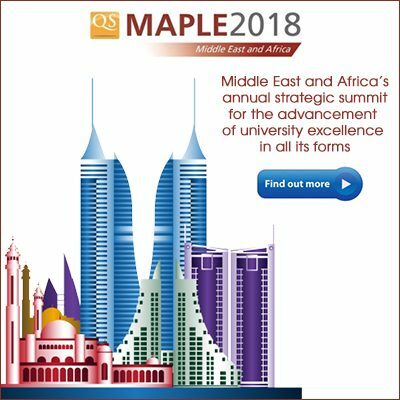 This cutting-edge conference will bring together leading decision makers, buyers and innovators within the education space from across the Middle East, Africa and beyond. Dr. Nathan will be moderator for two sessions, one on April 22 Research Led Innovation and on April 23 Skills Gap, Moving Beyond Lipservice. December 12-13, 2018 Dean Hoke of Edu Alliance will serve as moderator during DILET 2018 distance learning conference being held in Ankara Turkey. He will on the 13th be leading the discussing “Case Studies in Distance Education” which focuses on USDLA members who work in Telemedicine, Instructional Design Models, and Distance Learning Accreditation Panelist include Janet Major of the University of Arizona, Dr. Randy McDonald of Texas A&M, Dr. Chuck Sengstock of Drake, and DR. Reggie Smith CEO of the United States Distance Learning Association. November 27-30, 2018 Dean Hoke of Edu Alliance will serve as panelist during the Corporate Learning Week conference being held in Orlando Florida at the B Resort. He will be a panelist on the 30th discussing “What is the Future? How do you Make it Happen?” which focuses on strategies to balance technology and human interaction. Other panelist include Robert David of the Berkeley Institute for Leadership Development and Michelle Prince of Randstad Holding. Dean Hoke Co Founder and Managing Partner of Edu Alliance Group will be serving as a panelist during European Distance Learning Week. The topic of discussion is: 2018 Distance Education: Past, Present and Future – Overview and Foresight. The panel will discuss the recent developments of Open and Distance Learning in Europe and globally including personal professional perspective, public – private establishment, different regional developments’ overview, open and blended education. The panel will be moderated by Sandra Kučina, University of Zagreb University. 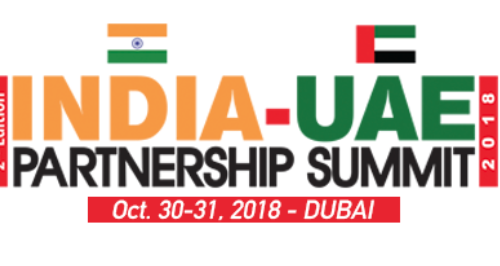 October 30-31 Dr. Senthil Nathan Co Founder and Managing Partner of Edu Alliance Ltd. will be serving as a moderator and panelist at the India-UAE Partnership Summit at the Atlantis Hotel in Dubai. Sessions include: Creating Institutions of Global Eminence and Opportunities for setting up Campuses, Investments and Academic Opportunities. October 15, 2018 Dr. Senthil Nathan of Edu Alliance will be leading a panel at QS India Summit conference being held in New Delhi, India. The Summit will launch of the 2019 edition of the “QS BRICS University Rankings”and the release of a new ranking focused on excellence of Indian universities. Dr. Nathan’s topic will be “Building Blocks for Developing Institutions of Eminence” at 12:30PM. Sept. 11, 2018 Dr. Chet Haskell (Chair) and Dr. Senthil Nathan (Speaker) will be conducting a workshop titled: “Online and blended programmes as a path to effective international partnerships” at the European Association for International Education in Geneva, Switzerland. The workshop examines educational or professional development programmes involving two or more institutions in at least two different countries using a blended learning approach consisting of face-to-face summer school sessions with follow-on online offerings. 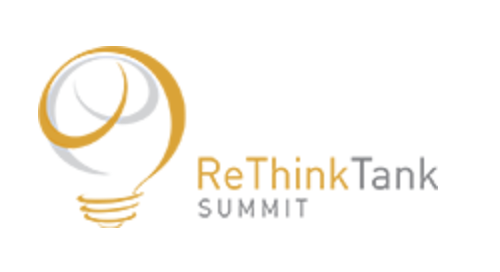 May 7, 2018 Dr. Senthil Nathan of Edu Alliance will serve as Moderator for the “ReThink Tank Summit” organized by Ajman University with the support of QS Intelligence Unit at the Conrad Hotel in Dubai. It will include panel discussions with university presidents, students, and leading industry employers will consider the future of skills and jobs in the GCC. May 1, 2018 Dean Hoke, will serve as a Moderator for a Round table discussion at the United States Distance Learning Association National Meeting in Indianapolis, Indiana. He will serve as Moderator for the luncheon panel on Media’s View of Online Learning May 1st at 12:45PM. Panelists include: Arika Herron – Education Reporter Indianapolis Star, Doug Lederman – Editor and Co-Founder, Inside Higher Ed, and Katie Gallagher – Editor of e-learn Magazine by Blackboard. 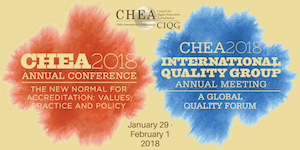 Jan 29-Feb 1, 2018 The Council for Higher Education Accreditation (CHEA), will be held at the Capital Hilton Hotel in Washington DC. The theme is “The New Normal for Accreditation, Values, Practice and Quality.” Edu Alliance Partner, Dr. Chet Haskell will moderate a presentation by Dr. Angela hou Yung-chi on quality assurance developments in Asia.